Afonso is the Founder & Mentor of Mentes Empreendedoras a not-for-profit organization that has been inspiring and supporting Portuguese youth to implement their own ideas to improve their communities! 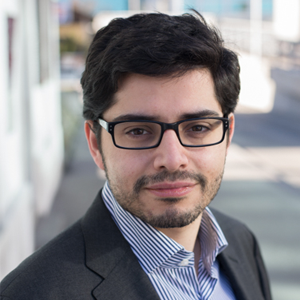 Afonso is an Assistant Professor at Nova School of Business and Economics (Lisbon, Portugal), responsible for the pioneering to Manage Impactful Social Projects class. With a deep experience as a consultant and social entrepreneur, Afonso has advised senior policy makers at the OECD (Paris) and at the United Nations (Geneva) in the fields of education, employability and training. Furthermore, Afonso coordinated knowledge and innovation management in Swiss Contact (Swiss foundation present in 29 countries and with > 700 associates. Globetrotter and fluent in 6 languages, Afonso has been to over 50 countries and developed a rich multicultural experience.